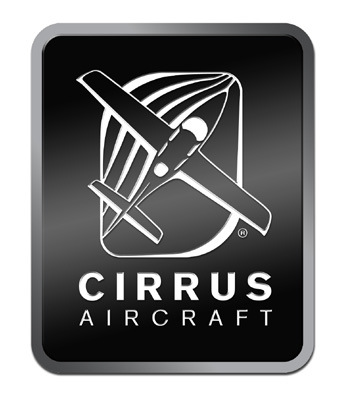 Very excited to announce my new partnership with Cirrus Aircraft (www.cirrusaircraft.com), the maker of the world’s best-selling and most technologically-advanced airplane in the world and now proudly the Official Aircraft of the Unofficial Mayor of Austin (www.randallmetting.com)! Cirrus Aircraft is a recognized leader in general aviation. Its all-composite line of personal aircraft are the world’s most desired single-piston airplanes winning the Robb Report’s “Best of the Best” for nine years running. What started as a small kit airplane design and manufacturing company in 1984 quickly grew into something far greater. Approaching the design of personal aircraft from the pilot’s point of view, the company began developing a four-passenger, single-engine composite aircraft with design and safety features unmatched in the current marketplace. That aircraft, the SR20, became the first of several new Cirrus revolutions to general aviation including the company’s most popular plane, the SR22 which celebrated its tenth anniversary in 2011. This aircraft has a more powerful engine and extended range and is also available in a turbocharged model, the SR22T. Cirrus has also been making significant advancements in the development and production of the Cirrus SF50 Vision, an owner-piloted personal jet which achieved its historic first flight on July 3, 2008. Today, Cirrus has evolved from its humble beginnings into a world-renown aircraft manufacturer. Even those not familiar with general aviation have heard of Cirrus through their popular nickname, “The Plane with the Parachute”. Committed to building airplanes that lead the industry in safety, from day one, Cirrus has equipped every aircraft with an airframe recovery parachute. The innovative Cirrus Airframe Parachute System (CAPS™) deploys a 55-foot diameter canopy that lowers the whole airplane to the ground in the event of a severe emergency. The CAPS-equipped Cirrus made aviation history in 2002 when a pilot in Texas became the first to use the life-saving device. To date, 51 lives have been saved as a result of this piece of standard safety equipment. Cirrus made history again when it was the first to introduce a glass cockpit to a general aviation aircraft. Now a standard to the industry, Cirrus Perspective™ by Garmin® is the new face of personal aviation replacing the bygone dials and gauges with technology that can prepare a student pilot for more than a private pilot’s license. In fact, both the U.S. Air Force and CAFUC, the largest flight school in China, have recently added Cirrus SR20s to their flight training fleets. For 2012 Cirrus has rewritten the expectations of the general aviation world by introducing a remarkable new cabin option. The innovative 60/40 FlexSeating™ gives Cirrus owners a whole new level of versatility. Now with a wider backseat that features three comfortable over the shoulder seat belts for a fifth passenger and ten more pounds of useful load. Other new features include the three-position recline and LATCH child seat restraint system. 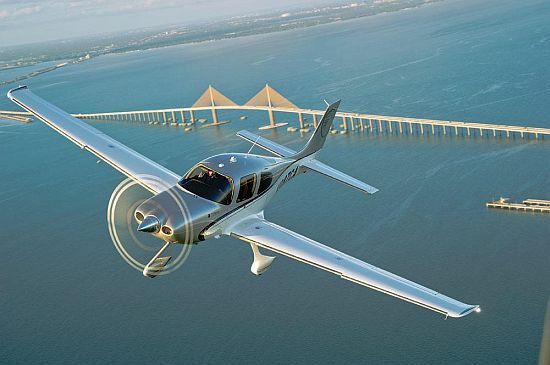 Unlike other makers of single-piston aircraft, Cirrus is also able to offer modern connectivity. Perspective Global Connect™ gives an unparalleled level of communication technology at a pilot’s fingertips, fully integrated into the Cirrus Perspective cockpit: worldwide weather with graphics available on screen, satellite phone through Iridium® Communications to make private or group calls through the cabin headsets and text messaging accessed through the flight display screens. Cirrus’ presence in the world of general aviation has created a very loyal global family. Thousands of Cirrus customers around the world are passionate about the planes they fly and convene at fly-ins big and small just to hang out with their fellow Cirrus owners. It’s a growing business, and Cirrus is an energetic player with a big heart for its customers. “Everything we do is geared to achieving our vision, to improving, to creating aircraft that are safer, more affordable and more fun to fly,” said Todd Simmons, executive vice president of Cirrus sales and marketing. Headquartered in Duluth, Minnesota, all Cirrus aircraft are made in the U.S. with a direct sales force in North America and authorized sales centers covering export markets in 60 countries around the world. Cirrus Aircraft is wholly owned by China Aviation Industry General Aircraft Co., Ltd (CAIGA). For additional company information, please visit www.cirrusaircraft.com. For sales information and specific inquiries for Cirrus Aircraft, please contact Regional Sales Director, Adam Hahn, via email at ahahn@cirrusaircraft.com or (512) 522-3582. « Max’s Wine Dive Austin: A Downtown Dining Experience You Won’t Forget! An absolute Beauty..Thats the way to go…anywhere!